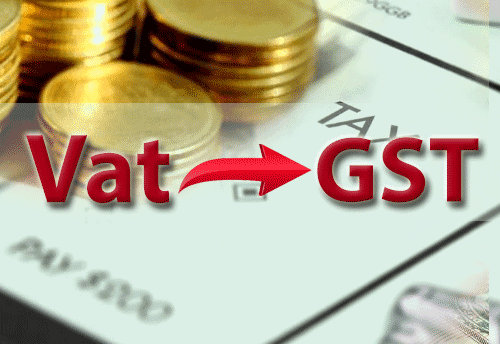 Leading B2B commerce start-up Moglix recently announced the launch of its GST (Good and Services Tax) technology for the manufacturing sector. In its endeavor to boost the manufacturing sector, Moglix aims to empower SMEto large suppliers and buyers through its GST technology to file indirect taxes seamlessly, while maintaining a close vigil on the 100% reconcilability of the entire value chain. Recently, Moglix partnered with a couple of GSP applicants to demonstrate its GST technology to the GSTN (Goods and Services Tax Network) panel for taxpayers and businesses to achieve 100% compliance. Moglix has been working with 200+ large enterprises and 40,000+ SMEs on their supply chain and B2B commerce, powering them with its integrated digital supply chain technology. Its technology is uniquely placed to gear them up for the GST compliance challenge looming large from the next financial year. With an increased focus of GOI on indirect tax collection and leakage, this is going to be an “adapt or perish” choice for everyone in the ecosystem. “Taxation and compliance has been a long-standing pain point in the ecosystem where easy and simple technology will help Indian industry scale up significantly, to compete in the global arena”, said Rahul Garg, Founder and CEO, Moglix. GST, labeled as one of the foremost indirect tax reforms in the country since Independence, has inched one step closer to becoming a reality from 1st Apr’17. While the mechanism of implementation is still being fine-tuned, there is an equivocal agreement on its positive ramification across the board, especially in the manufacturing sector. Indian manufacturing is a large sector ($300B) accounting for 17% of the country’s GDPand is a very complex domain from an indirect taxation perspective. Today, the sector is plagued with myriads of taxations like SVAT, CST, Excise, CENVAT etc., and GST is going to be a welcome change with significant improvement on ease of doing business. Rahul added: “We believe that GST shall fundamentally redefine the B2B commerce in the country, which in the past has been plagued by the multitude of state and central compliances. Moglix aims to enable a large section of manufacturing sector to smoothly migrate to the new regime. We dream of supply chain where we will achieve 100% reconciliation of goods, services, Information, payments and taxation, with highest standards of quality, cost and delivery”. GST shall impact manufacturers in multiple ways; first and foremost, it creates a single/central technology infrastructure for indirect taxation for manufacturers. Second, it enables a 100% reconciliation of the tax flow across the entire value chain in a time bound manner. Third,the tax ERP of every organization will now be maintained centrally inside the GSTN system. These changes shall enable India to get-rid of tax leakages in any shape or form in the future and give rise to a true white-economy. Atul Jain, VP Procurement, Lumax Group (which has INR 2,500+ CR in revenues) said “Dealing with thousands of vendors, their invoices, payments, logistics used to be a challenge for us as it called for significant management bandwidth. We started using business.moglix a few months back and it has turned out to be a fresh change for procurement, logistics, finance and IT managers to address all these issues. To our delight, the platform also takes care of GST compliance for our buyers/suppliers which is going to be a massive exercise for enterprises running in offline mode”. Moglix successfully demonstrates its GST technology to GSTN Panel 0 out of 5 based on 0 ratings. 0 user reviews.